Patience is one virtue that Mayank Agarwal has aplenty. Agarwal might be just 26 years of age but he has been knocking on the doors of the Indian team for a couple of years now. He finally managed to break down that door, making his debut in the Test team down under and playing a stellar role in Melbourne and Sydney Tests. The sheer weight of his runs — over 3,000 runs for Karnataka and India ‘A’ — means that Agarwal has become the first-choice opener when it comes to Test cricket at least. However, Karnataka opener Agarwal is not a Test specialist by any stretch of imagination. His IPL record might be modest so far but Kings XI Punjab showed faith and picked him in the 2018 auction after he ended as the highest-scorer in last season’s Vijay Hazare Trophy (50-over tournament) with 723 runs and tallied 2,141 runs across all formats last year. This season, Agarwal is joining Kings XI on the back of an unbeaten 85-run knock in the final of the Syed Mushtaq Ali T20 tournament which guided Karnataka to the title. “It’s always great to come into a great tournament like the IPL with form and runs under your belt. I have been timing the ball well although the big scores were not coming. But what better place to score runs than the final and it gave me more pleasure because it helped guide Karnataka to the title,” Agarwal told CricketNext from Mohali on Tuesday. Kings XI Punjab have a new coach this season in Kiwi Mike Hesson. The former New Zealand chief coach feels this is year when Agarwal could stamp his mark in the T20 format. “Mayank Agarwal obviously made his Test debut against Australia and he would have got plenty of confidence from his performance over there against a strong attack in different foreign conditions. So look Agarwal has been an outstanding performer as I am sure you will know domestically in all forms. “T20 has been one such format where he hasn’t nailed yet and I think this is the year for him in terms of, if he gets a role and gets that confidence early, he certainly has that technique which will allow him to play those substantial innings. There is certainly something which we will like to see from him. He is a great fielder and a great attitude. So I am really looking forward to working with him,” Hesson said about Agarwal. Like Hesson said, Agarwal also feels the experience and the hard grind of Test cricket down under have helped in his development. “International cricket helps you grow as a cricketer. Making my debut in front of a packed crowd at the iconic Melbourne Cricket Ground, nothing could be more special than that. I have learned the work ethic that is required to succeed at the top level as well as mental attitude that is needed. I definitely come into this IPL as a much more developed batsman than previous years,” Agarwal, who scored two 70s in his two Tests in Australia, said. IPL-12 gathers even more significance this year with its proximity to the 2019 World Cup. Although majority of positions have been filled in the England-bound squad, the No. 4 position is still up for grabs. Many critics including former India captain Sourav Ganguly believe that the No. 4 spot could be decided on the basis of the IPL performances in the first-half of the season. for him. Although primarily a top-order batsman, Agarwal is prepared to play according to the needs of the team. “I haven’t thought about the No. 4 position in the ODI team but I am prepared to bat in any position that the team requires. A World Cup spot is not something I am actively pursuing at this moment but the focus is to create a permanent spot for myself in the Kings XI batting line-up. Like in domestic cricket, my aim is to score as many runs as possible and leave the rest up to the selectors,” Agarwal said about IPL-12 being audition for World Cup selection. The young Karnataka batsman knows that holding on to a berth in the Kings XI line-up will not be an easy job. “The strength of the Kings XI this season is it’s batting. We have Chris Gayle and KL Rahul at the top of the order and the likes of myself, David Miller and Mandeep Singh in the middle-order. "The one area we have improved since last year will be the pace bowling department with the addition of Mohammed Shami, who has been in superb form in white-ball cricket in the last few months. 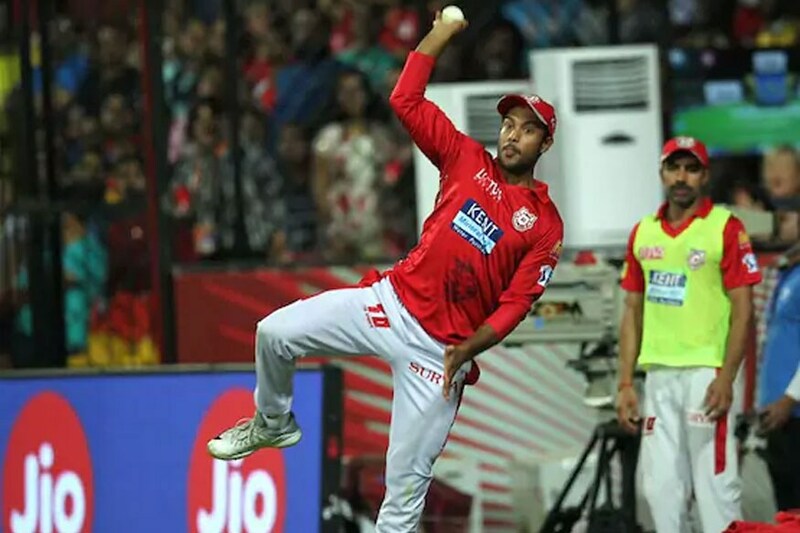 I think Kings XI have the depth to challenge for a playoff spot this season and after that it’s anyone’s game,” Agarwal said about the strengths of the Kings XI squad this season. Agarwal has been playing IPL since 2011 and Kings XI are his fourth franchise so far after Royal Challengers Bangalore, Delhi Daredevils and Rising Pune Supergiants.